After the acclaimed debut in July this year, we are proud to announce that the 2018 Santa Fe has been awarded Drive's Car of the year: Best Family SUV! This is a fantastic achievement as Hyundai were up against established rivals, including last year's winner, Mazda. The Sante Fe model is stylish, robust and an obvious choice among families due to its spacious design. According to Drive's panel of judges, the Santa Fe was a clear winner after the arduous week of assessment! Drive said, "The all-new Santa Fe is beyond just being a spacious, thoughtful, safe and practical family car; it is a beacon of design that could easily wear a premium badge." "The fact it is also great to drive, affordable to own, and introduces some innovative family-focused safety features makes it Drive's Best Family SUV of 2018." Hyundai's Chief Executive Officer, JW Lee reiterated how proud he was to have won this award amongst a tough line-up. 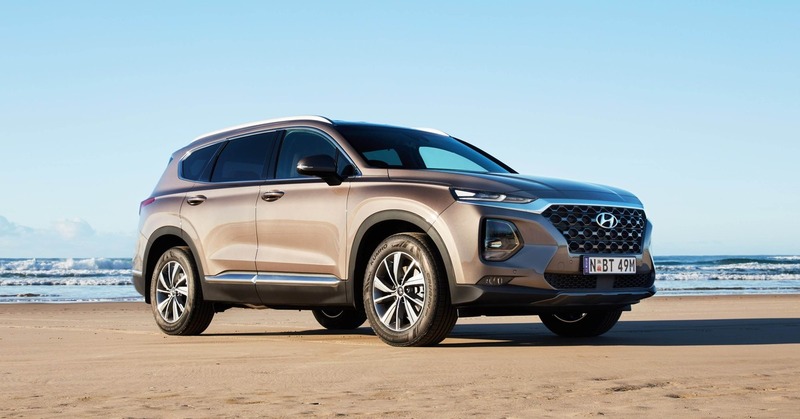 Mr Lee said, "Winning the coveted Drive Car of the Year: Best Family SUV award among the strongest of competitors highlights the impressive all-round ability of the fourth-generation Santa Fe." If you would like to test drive this award-winning model, feel free to contact the team at Noosa Hyundai today! We can't wait to hear from you.